I’ve been in negotiations with Farmers Business Network for several weeks now and have officially joined their team. I have been following FBN for a long-time and have been amazed at their growth as well as their product, which fits a unique niche that I’ve felt was unserviced for a long time. When I flew to Sioux Falls to meet w/ part of their leadership team I witnessed first-hand how fast this company is growing. Not only was it standing room only inside their offices –but the “hustle factor”, as I like to call it, was evident, every person was on a cell phone or connected to their laptops hammering out code. It’s exactly the kind of vibe you expect to see w/ a “disruptive startup”, it’s sort of intoxicating –those that have experienced it know exactly where I’m coming from. Before I go any further I need to quash the question I’ve been asked 10,000 times already by those in my inner circle, no… I’m not relocating the family to California, Iowa, or South Dakota. My role will be primarily in Arkansas, where I’m already connected. I will also continue to work out of the same office with the same telephone number and email address, etc. I’m smart enough to realize that our roots are in Arkansas (at least until I can talk Donna into moving to Alaska). What is Farmers Business Network? 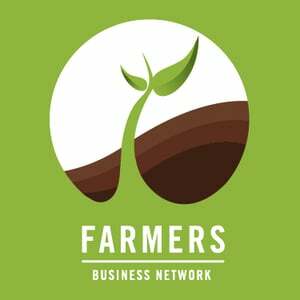 So, what is the Farmers Business Network? FBN came about when farmers wanted to develop an independent, unbiased, and objective farmer-driven information source — no marketing fluff, just the facts on raw performance. They knew that if they could share their agronomic precision data with one another, they could all make better decisions on seeds and agronomics. Working together, they knew they could learn vastly more than by looking only at just their own farms, thereby unlocking the true power of the precision farm data they’d paid for. These farmers wanted objective information on seeds, fertility, soils and dreamed of what might be discovered scientifically from having more data. They wanted transparency and to be treated fairly in the market. They wanted to build a company that reflected their values and truly put them, the farmers, first. When these innovative farmers met with technologists, scientists, and entrepreneurs, this dream become a reality — Farmers Business Network SM. At every point along the way, the FBN team has listened closely to its earliest farmers and dozens of farmer advisors to make sure the network is building a future of farming that truly puts Farmers First. What started as the dream of a handful of farmers in 2014 spread to a network of thousands of America’s best farmers managing over 8 million acres in just two years. As each new farmer joins the FBN Network, every member’s seed information, agronomic analytics, and buying power gets stronger. When farmers connect, farmers win – and the services, technology, and network keep growing. Securely Positioned by Support from Google Ventures, KPCM, etc. FBN has been able to establish itself as the leading product in the industry thanks to the initial backing of $15 million dollars from Google Ventures and Kleiner Perkins Caufield & Myers. After initially securing roughly $28 million dollars the company has continued it’s momentum by raising an additional $20 million in their B round, which was recently announced. So, it’s safe to say that FBN is going to be around a while and will continue to improve as the network grows. Probably the most impressive thing about FBN, in my opinion, is their presentation of data. For the first time farmers (that I know) will have actionable data related to seed, growing season, harvest, yields, etc. from their operations at their fingertips. To take things a step further, this data can be compared to growers in their area anonymously so they can make educated decisions on seed varieties, etc. based on real data. Additional products & services provided by FBN include input price transparency (seed, chemical), farm team communications, data integration & storage (compatible with most manufacturers including John Deere, Case, etc.). All of these products mentioned are managed by two apps that are available on iPhone and Android. Another service offering from FBN that has me very excited in their procurement operation. This essentially allows farmers that are members of FBN ($500 membership) to purchase their inputs (chemicals, surfactants, etc.) directly from the manufacturer. In some cases farmers have saved as much as 40%. For a list of products available, click here. FBN doesn’t just stop at procurement, we can also provide financing. That’s right, we have a low-hassle application process, qualified farmers can receive loan financing approval in as little as 48 hours. FBN Finance offers confidentiality, security, and a desire to help farmers grow competitively. With all of this wrapped up into one package, can you see why I’ve been a huge fan of this company? I can also tell you that this company is geared toward disruption of the ag industry and it would probably be wise to check back from time to time because things are evolving quickly with this company. I couldn’t be more excited to join their team to lend my expertise wherever it might be needed and to help grow this network. Stay tuned, I’m sure to be sharing more information in the coming days and weeks. What does this mean for existing projects that I’m involved with through Rohrscheib Capital? All of the business entities under the umbrella of Rohrscheib Capital will remain intact and full-operational, including several startups that we are shareholders in. This transition just means that I’m going to be wearing one hat for the next chapter of my career, and I couldn’t be happier that this move has landed me back in agriculture! Important Notice: Since Facebook recently handicapped my personal page when it hit the 5,000 friends cap, and I’m joining a new organization w/ new friends to be made within the company as well as on the client side, I’ve setup a business (professional profile) page on Facebook that I will be using for business related posts moving forward. If you haven’t already, please be sure to visit my professional page here, and like it so you can stay in the loop w/ all of the exciting things to come from FBN.